Can I just tell you how much I love My Mind’s Eye? 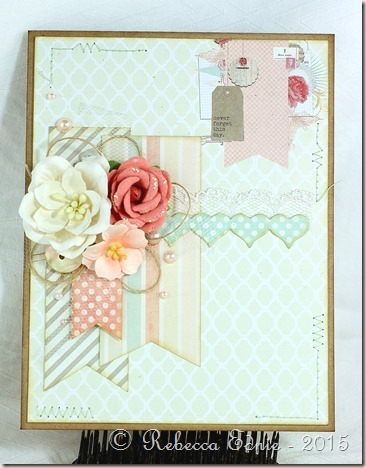 Their shabby chic paper packs are just amazing! I added some gold to this card which is seen in photo in the macaron and the tea cup; you can just see that it has a gold edge. 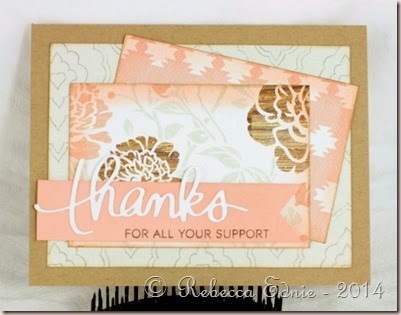 I’ve always loved to work with gold, it’s the only embossing powder I’ve every used up except white and clear! It’s awesome that it’s finally trendy again! I don’t personally care but it’s nice to see more products being made in gold! 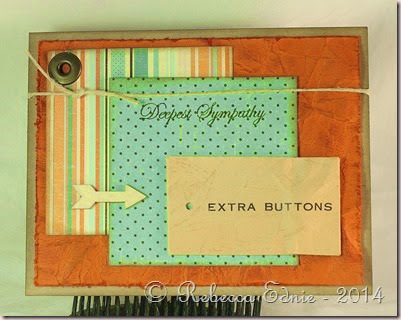 I’m also making this for Retro Sketches 170. And of course The Shabby Tear Room DT call. 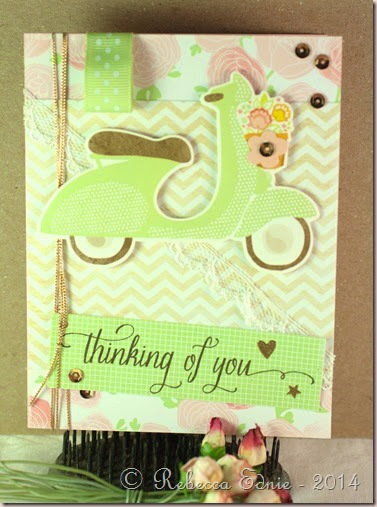 For this card, I was inspired by the colours, flowers and overall look of the photo. For The Shabby Tear Room DT call. I made this card for a family I know who is into horses. 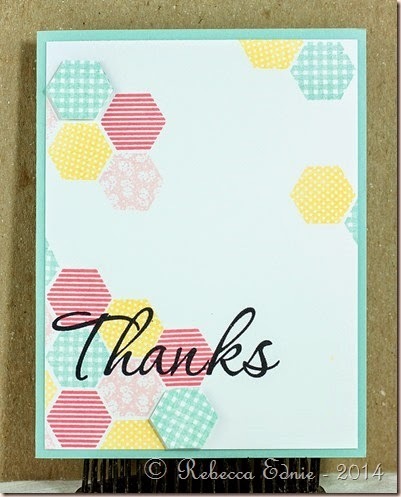 I haven’t seen them in a while so I thought they might appreciate this card. Dontcha love those wooden embellies? 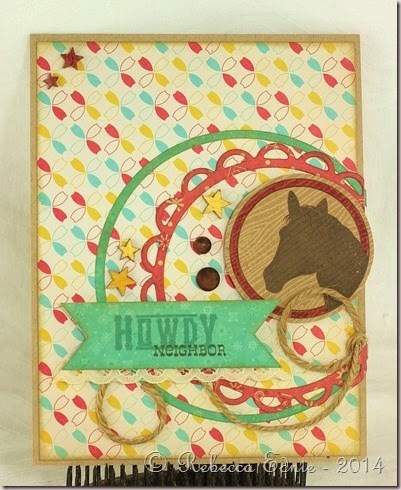 I love using wood veneers, but especially on more rugged themed cards. The twine was supposed to look like a lasso. Did it work? Combining more than one challenge can be tricky but I think I did a pretty good job on this one. The clock was stamped on vellum and embossed with some very, very old SU! embossing powder. A lot of the PTI gals have been using Zing! EP lately but this one is finer so I really like the way it turned out. As you can see, I stretched the sketch so it would work better since my clock doesn’t have a 5.5” diameter like the card above. 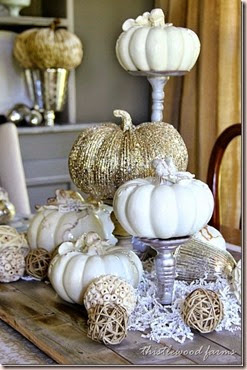 I didn’t use the Fine Linen but instead used ivory. I much prefer it. The colours aren’t quite right above and I had a hard time editing them. The leaves are aqua mist stamped first with a second generation inking, then with a first generation inking for the veins. I did the same for the second and third layers of the rose. That ‘bow’ is what Melissa Philips calls a junk bow. I think i like them but next time I’ll add a few more soft ribbons and maybe add a few ribbons loops rather than have all of them single layered. 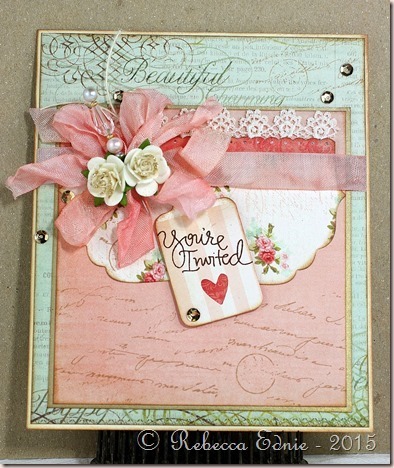 Accessories: misc ribbons plus PTI blush grosgrain, sand sequins-Pretty Pink Posh, pick sequins-Ellen Hutson, pink EP-SU! My FIL passed away recently and while we weren’t close, it was hard to see my teenaged son and my husband so sad. So I made them both sympathy cards. 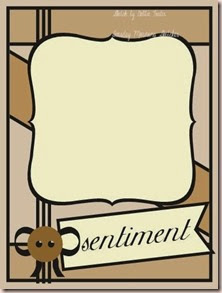 Of course, as with many of us, I struggle to make masculine cards that aren’t super boring. Sure it’s easy to layer a few papers but that’s so blah. 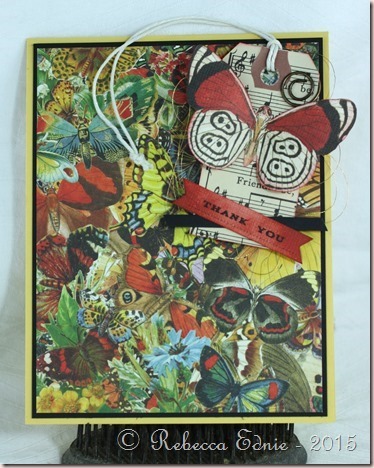 I used some ephemera I’d been saving and a cool technique to jazz it up some. 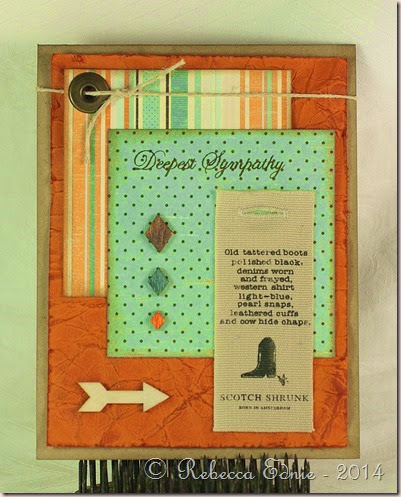 The background is crumpled cardstock which I then smoothed and DTP added some light brown ink. I spritzed it with water to soften the look, let it dry then applied a slightly darker shade orange ink with my fingers to really work it into the paper. It if was closer to the same shade, I might have been able to use a sponge applicator but this seemed to really bring out the texture in the paper. A sponge might have applied ink too evenly. My fingers were only orange for one day :). I wish more of it showed. I’m entering this in the Simon Monday challenge to make new friends but keep the old. I used an old technique to make the paper look like leather and an old stamp. 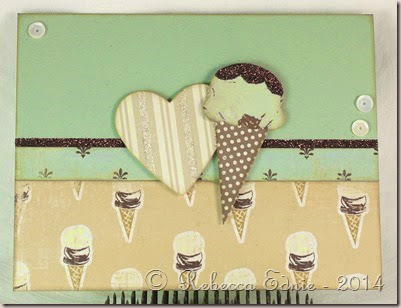 I used ephemera I’ve been saving for ages and new veneers. I also used Mojo Monday 379 for the sketch. 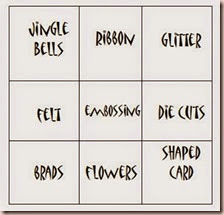 for Mojo Monday Judges: I’m entering both cards. But I can only link up one card for each URL. 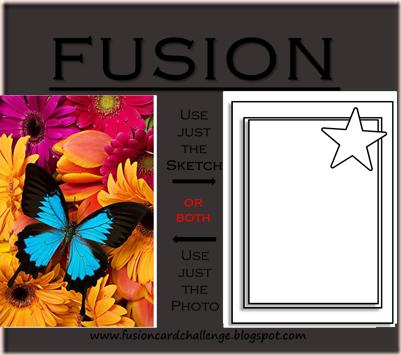 So I entered the other card by clicking on it then using the URL for hte photo. Sorry but no way to link back to the challenge for that card. HOpe that’s OK.
Wow, it seems like ages since I created for any online card challenges! I’ve been really not doing so great since the weather has gotten colder here in Canada. We’ve even had snow though it never stays this early. 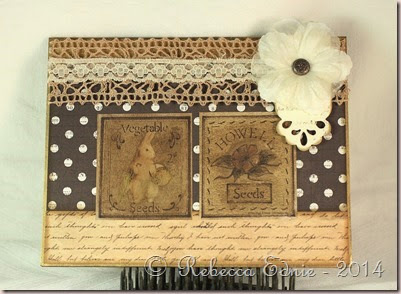 I dyed the lace for this card. It was white before I added berry tea. 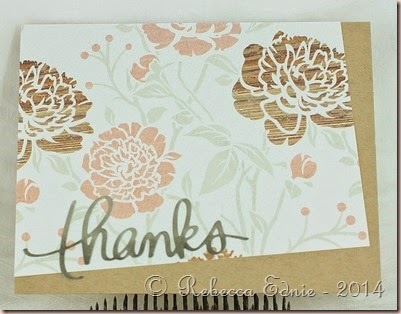 It ended up being much darker than I wanted but it was perfect for the tones in this card. The flower is two layers I put together from a package of Recollections flowers. 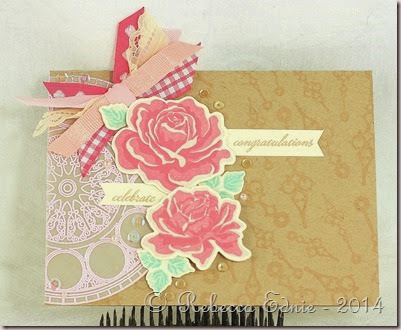 I stamped some ivory cardstock messily with a script stamp for some texture. It’s hard to see but I inked the edges of the card base with gold paint pen which is why the top of the brown lace looks different. The paint is shiny and reflects on the lace. 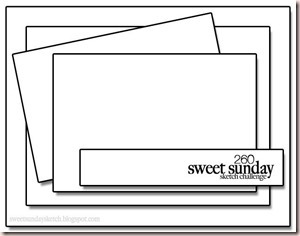 Click on the photos below to visit the challenge blogs.